Areal zones, linguistic areas of convergence or sprachbunds: they are areas that have different languages families but which, by prolonged contact, developed similar linguistc features, be it phonology or grammar. 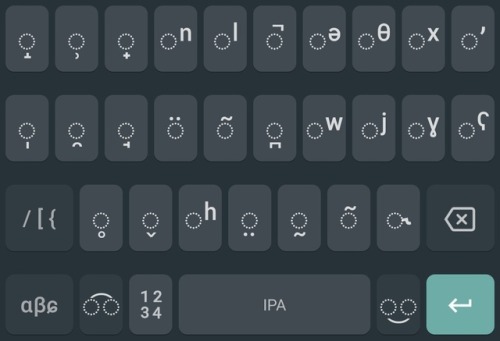 How to get it: Update the app if necessary, longpress on the spacebar, and add International Phonetic Alphabet under languages. 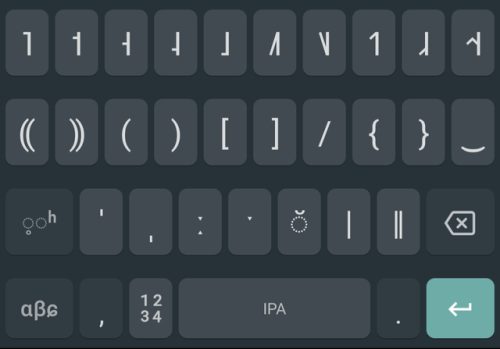 To switch to IPA once you’ve enabled it, longpress on the spacebar again. 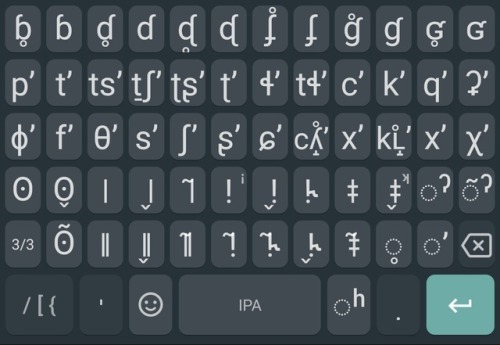 I was previously using MultiLing keyboard to type IPA on Android, which was fine for most purposes but didn’t have full support for diacritics or other special punctuation, so Gboard now looks like a better option. When a language is shifting from being spoken by a whole community to being spoken only by older people, it’s crucial to get the kids engaged with the language again. But kids don’t always appreciate the interests of their elders, especially when global popular culture seems more immediately exciting. One idea? Make stories from pop culture, featuring characters like Dumbledore and Batman, but in the local language. In this episode, your host Gretchen McCulloch interviews Dr Ake Nicholas, a linguist and native speaker of Cook Islands Māori, the lesser known relative of New Zealand Māori. Ake combines her her work as a Lecturer at Massey University, Te Kunenga ki Pūrehuroa, University of New Zealand, with having her students create resources for young Cook Islands Maori learners, especially video stories from pop culture. We also talk about Kōhanga Reo, or language nests, a method for language revitalization that was first developed for New Zealand Māori and has spread around the world, and the social situations around Cook Islands Māori and New Zealand Māori. This month’s bonus episode is about how people in the media know how to pronounce names correctly. It’s an interview with Tiger Webb, who makes the pronunciation guide for the ABC, recorded at our liveshow in Sydney. We get enthusiastic about words, style guides, emoji and more! Lauren and Tiger also quiz Gretchen on whether she’s learned any Australianisms on her visit to Australia, and Gretchen fires back with a few Canadianisms of her own. 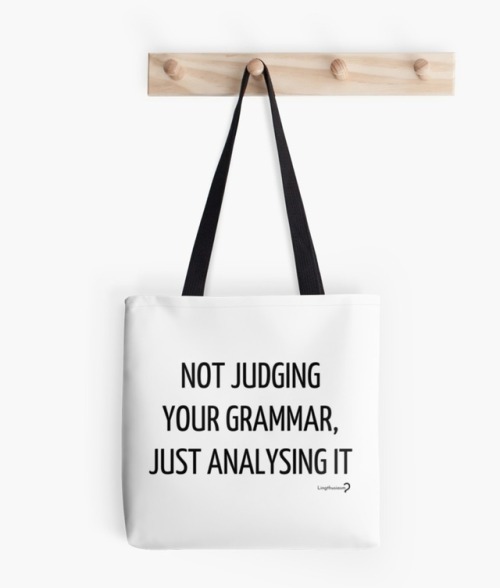 Feel like you’re in a cosy room of friendly linguistics enthusiasts by supporting Lingthusiasm on Patreon to gain access to this and 26 more bonus episodes. You can listen to this episode via Lingthusiasm.com, Soundcloud, RSS, Apple Podcasts/iTunes, Spotify, YouTube, or wherever you get your podcasts. You can also download an mp3 via the Soundcloud page for offline listening, and stay tuned for a transcript of this episode on the Lingthusiasm website. To received an email whenever a new episode drops, sign up for the Lingthusiasm mailing list. 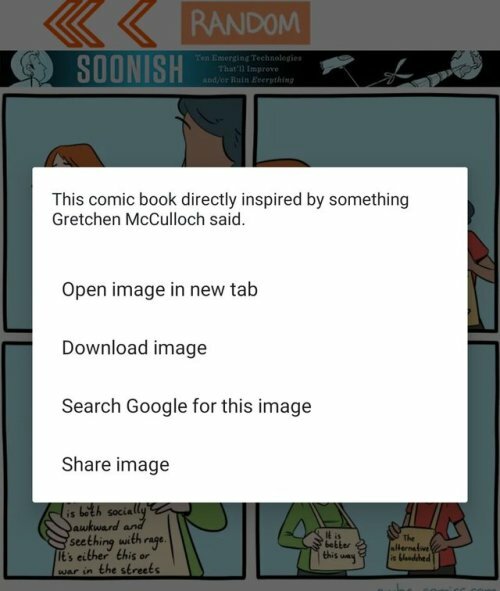 You can help keep Lingthusiasm advertising-free by supporting our Patreon. Being a patron gives you access to bonus content and lets you help decide on Lingthusiasm topics. Lingthusiasm is on Facebook, Tumblr, Instagram, Pinterest, and Twitter. Gretchen is on Twitter as @GretchenAMcC and blogs at All Things Linguistic. Lauren is on Twitter as @superlinguo and blogs at Superlinguo. Lingthusiasm is created by Gretchen McCulloch and Lauren Gawne. Our audio producer is Claire Gawne, our editorial manager is Emily Gref, our editorial producers are A.E. Prévost and Sarah Dopierala, and our music is ‘Ancient City’ by The Triangles. I’m excited to finally get to share this interview I did with Ake Nicholas when we both happened to be in Australia for the same conference! "And he asked specifically for eggs, and the good woman said that she spoke no French, and the..."
Not quite an Easter Egg, but perhaps one of the most important egg-based stories about English. He is credited with printing as many as 108 books, 87 of which were different titles, including the first English translation of Aesop’s Fables (1484). Caxton also translated 26 of the titles himself. His major guiding principle in translating was an honest desire to provide the most linguistically exact replication of foreign language texts into English, but the hurried publishing schedule and his inadequate skill as a translator often led to wholesale transference of French words into English and numerous misunderstanding. Bits and bobs is my many small things make post category. Feel free to comment on only some of the things. *After no one in the household being sick for several weeks, the kid brought home a nasty cold that we all got. I have very mild case and am still up and about but R and E where pretty wiped out. I've been doing quite a bit more around the house the last couple of days to make up for it. *I was listening to an episode of Be The Serpent,, one of the Hugo nominated fancasts, about personality taxonomies and it made me realize that my trouble with people using Hogwarts houses as shorthand for personality types is that everyone means different, sometimes very different, things by the different houses so its not actually a useful shorthand at all because I have no idea what any one person means. But then I did go read some Sorting Hat Chats and think about different morals systems. I'm definitionally someone with a felt moral system even I can't quite figure out if that makes me a Gryffindor or a Hufflepuff primary in that system. *This morning I did a big Passover shop. I bought lots of veggies and three kinds of matzo (normal, spelt and whole wheat) and chicken for the soup. I have so many people coming to my Seder. Its going to be awesome! There will be mulitple kids to look for the afikoman. I will feed people. Do you have plans for Passover or Easter? Or just fun things to do this coming weekend? My book in defence of internet language has new social media cover photos and descriptive text! A linguistically informed look at how our digital world is transforming the English language. Language is humanity’s most spectacular open-source project, and the internet is making our language change faster and in more interesting ways than ever before. Internet conversations are structured by the shape of our apps and platforms, from the grammar of status updates to the protocols of comments and @replies. Linguistically inventive online communities spread new slang and jargon with dizzying speed. What’s more, social media is a vast laboratory of unedited, unfiltered words where we can watch language evolve in real time. Even the most absurd-looking slang has genuine patterns behind it. 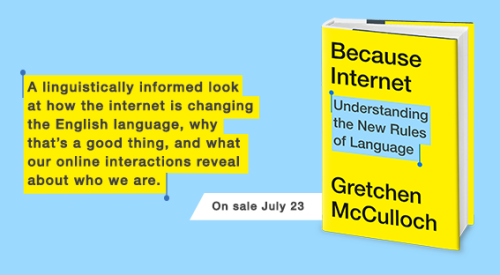 Internet linguist Gretchen McCulloch explores the deep forces that shape human language and influence the way we communicate with one another. She explains how your first social internet experience influences whether you prefer “LOL” or “lol,” why ~sparkly tildes~ succeeded where centuries of proposals for irony punctuation had failed, what emoji have in common with physical gestures, and how the artfully disarrayed language of animal memes like lolcats and doggo made them more likely to spread. Because Internet is essential reading for anyone who’s ever puzzled over how to punctuate a text message or wondered where memes come from. It’s the perfect book for understanding how the internet is changing the English language, why that’s a good thing, and what our online interactions reveal about who we are. Make Because Internet show up as a delightful surprise for your future self and show booksellers that people are excited about internet linguistics by preordering it! You can preorder in person or on the website of your favourite local indie bookstore, or follow one of the links here. I’ve also compiled my best behind-the-scenes snippets and internet linguistics book tweets here. Tonight I’m relistening to Notre-Dame de Paris, a musical of beauty and of pain. The whole musical is available here on youtube if you need a mourning soundtrack. Looking for podcasts about language and linguistics? Here’s a comprehensive list with descriptions! I’ve also mentioned if shows have transcripts. If there are any I missed, let me know! Talk the Talk Every week Daniel, Ben, and Kylie cover the news in linguistics and tackle a particular topic. Accentricity From Sadie Durkacz Ryan, a lecturer in sociolinguistics at Glasgow University. Season one has six episodes. Grammar Girl Episodes are rarely longer than 15 minutes, but they’re full of tips about English grammar and style for professional writing, and more! (Transcripts for all episodes). The World in Words From PRI, The World in Words has been delivering wonderful interview-drive stories about language and life since 2008. Conlangery Particularly for those with an interest in constructed languages, they also have episodes that focus on specific natural languages, or linguistic phenomena. Subtext a podcast about the linguistics of online dating. Canguro English a podcast about language for people learning languages. History of English Meticulously researched, professionally produced and engaging content on the history of English. I have already reviewed it three times (episodes 1-4, episodes 5-79, bonus episodes). Lexicon Valley Hosted by John McWhorter, with a focus on English. That’s What They Say Every week linguist Anne Curzan joins Rebecca Kruth on Michigan public radio for a five minute piece on a quirk of English language. A Way With Words A talk-back format show on the history of English words, cryptic crosswords and slang. Word For Word From Macquarie dictionary, with a focus on Australian English. Fiat Lex A podcast about making dictionaries from Kory Stamper & Steve Kleinedler. Word Bomb Hosts Pippa Johnstone and Karina Palmitesta explore one explosive word per week, using particular words for a deep dive into linguistic and social issues. Words for Granted In each episode Ray Belli explores the history of a common English word in around fifteen minutes. Very Bad Words A podcast about swearing and our cultural relationship to it. Lexitecture Ryan, a Canadian, and Amy, a Scot share their chosen word each episode. Wordy Wordpecker Short weekly episodes from Rachel Lopez, charting the stories of English words. Animology Vegan blogger Colleen Patrick Goudreau uses her love of animals as a starting point for exploring animal-related etymologies. Speaking of Translation A monthly podcast from Eve Bodeux & Corinne McKay. LangFM Stories of people from the world of language, including interpreters, translators, dialect coaches and many more. Troublesome Terps The podcast about the things that keep interpreters up at night. Evolving English: Linguistics at the Library (8 episodes 2018), from the British Library. GradLings An occasionally-updated podcast for linguistics students at any stage of study, to share their stories and experiences. I’ve updated the Linguistics/Language podcast recommendations list! It’s always exciting to see new linguistics and language podcasts, and old favourites still going strong. 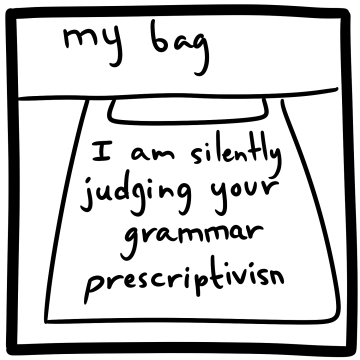 As always, if there’s a linguistics or language podcast you love that is not on the list, let me know! Needless to say, that was one book that didn't go on my wishlist, but I was curious to see who would publish this. The answer was, a company I'd never heard of before, John Hunt Publishing with UK and US imprints. I'd never heard of them, so I got curious. I'm in publishing – I'm a copyeditor who has gone through the whole publishers listing of the Writers Yearbook and has contacted a good many of them – and I'd never heard the name. 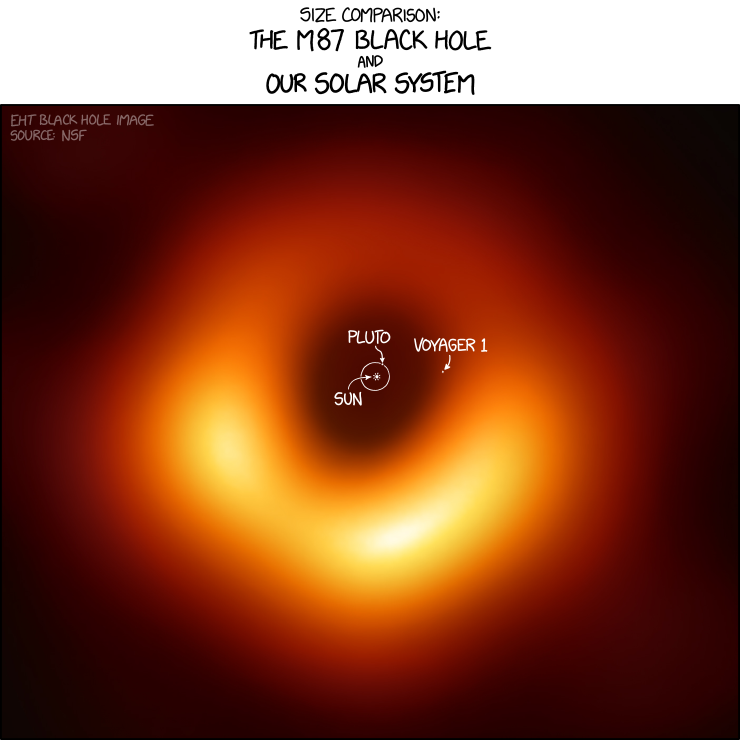 So I took a look. The first thing I noticed was that there are two prominent streams on their website: 'are you looking for a book? Are you looking to publish a book?' and that told me everything I needed to know, really, but I am cooking dinner and have no brain and had a few minutes to browse. The website does not mention fees. It tries to present itself as very proper, with some weird operating practices (quick turnaround - always a red flag in my experience, and saying they have no staff (this is rarely a good sign, someone needs to manage those freelancers and be a buffer between author and freelancer). At this point I tried to look for the list of disrecommended publishers on Writers Beware... and hit a blank. I mean, I can find Writers Beware on the SFWA website, but the list of alerts is less than a dozen entries long. My brain eventually supplied 'preditors and editors' but apparently the list has been offline for many years and is now stuck in a permanent 'give us your details' harvesting page. It doesn't seem to have been archived. While some of the preditors may have moved on, I am sad that publishing seems to have lost this resource. raised red flags I'd never even HEARD of. This is, I hope, the lousiest reversion clause you've ever heard of. There's a lot of gaslighting going on otherwise, with arbitrary judgements of what tiers authors will be offered a contract at (in other words whether they get full royalties, limited royalties, or whether they pay £500/$795 + £22/$35 per 1,000 words... which is not cheap. Also not impressed by a production flow that waits for proofreading to be complete before commissioning a cover... but that's a mere nitpick in a sea of whoa. But yeah. Any time a publisher is advertising to writers instead of readers, you don't want to be published with them. 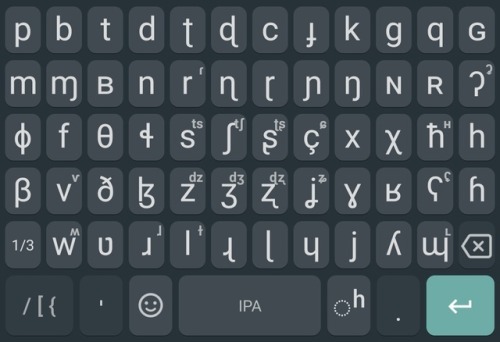 The International Phonetic Alphabet is really one of those useful life skills that everyone should learn. Trying to write about speech sounds without the IPA is like trying to write about music sounds by just making up your own musical notation. 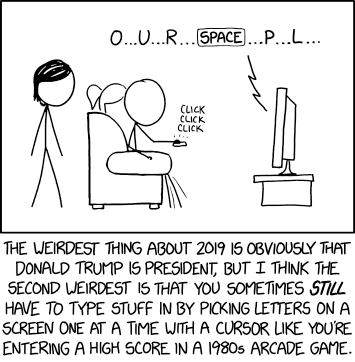 I mean, you could, but wouldn’t you rather just be able to say “middle C” or “bilabial fricative” and have everyone know what you’re talking about? I’m definitely not saying it’s anyone’s fault if you don’t already know them, but they’re both just quietly, casually, consistently useful for everyday life. 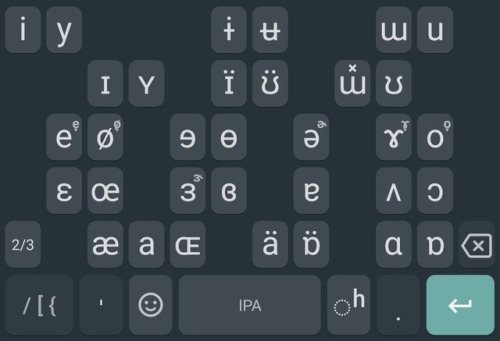 For example, you can use the IPA to write down the pronunciation of people’s names, so you can say their names back the way they say them, which makes people like you! Here’s a clickable IPA chart and an intro to the IPA for English with a mix of text and video that might help if you’re inspired to get started. I know many people who have taught themselves most of the IPA from the internet, so it’s totally doable, but there are a lot of names and symbols to retain so don’t expect you can remember them all in just one session! These quiz-yourself cards on Memrise may help you practice the IPA once you have the basic idea. 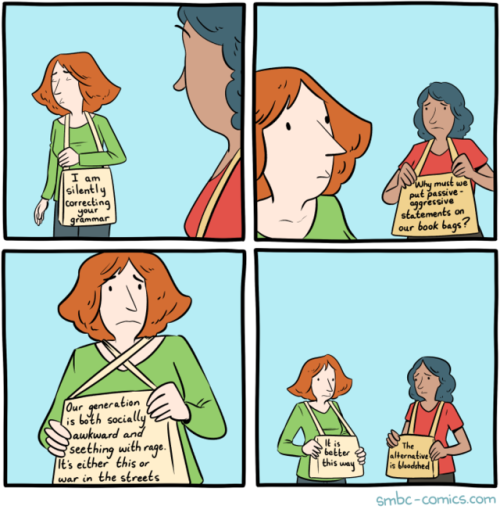 Today’s SMBC comic namechecks our Lingthusiasm NOT JUDGING YOUR GRAMMAR, JUST ANALYSING IT tote bags which I’m pretty sure means we’ve Officially Arrived. Today in ridiculously charming linguistics: a linguist’s recordings of her 20 month old with IPA transcriptions. violence is violence; the trick is making violence stop by drakkinabrarian. CW for discussion of many forms of violence against children. I'm definitely mulling over siderea's recent post on [Marie] Kondo and the Bibliophibians. I haven't quite worked out what I think about all of it. I'm not completely sold on blaming Marie Kondo for anti-intellectualism and the erosion of the middle class, and the idea of a Japanese woman being colonialist towards Americans doesn't sit well with me. Regarding books specifically, well, lots of people have opinions about whether you should or shouldn't own more physical books than you can read, but I didn't take that as the main point of the post. The bit that's striking to me is Section 6: Our TVs scrupulously taught us not to have sympathy for people of other classes, other industries, other ways of life. So I think it's not about books, it's about learning not to despise people from other cultural backgrounds. Currently reading: Moonwise by Greer Ilene Gilman. I'm appreciating this book, but it's hard work; it's written in a strange language that is almost Anglic (it's not quite, there are occasional Latinate words in it). Reading it reminds me of being a ridiculously hyperlexic child, and reading all kinds of adult books and only forming vague impressions of what was going on. It's not just the language, it's about a fantasy world that blends with an intrudes on this one, and the narration builds atmosphere by not making very clear distinctions between dream and reality, secondary world and this world. Up next: Something written in standard English, I think! angelofthenorth lent me Conversations with friends by Sally Rooney, which is apparently about young poly people in contemporary Ireland. One of my friends who lives in the UK is going to be in San Diego for a work trip. I'm going to fly down for a day a see and see her in person! So I thought I'd ask here if anyone has advice for things to do in San Diego? 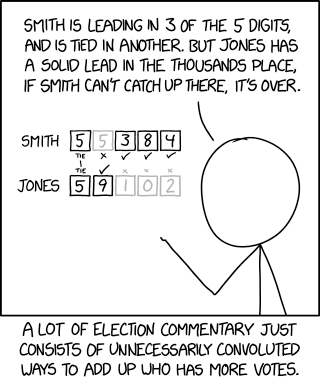 allthingslinguistic_feed - "And he asked specifically for eggs, and the good woman said that she spoke no French, and the..."
xkcd_feed - Wanna See the Code? forestofglory - San Diego Travel Advice?